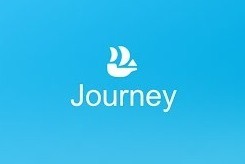 Journey is a free app on the Salesforce AppExchange designed to help take the hassle out of business travel. The Journey Salesforce app gives users the ability to track their business trips, or “journeys”, and create expense reports directly in Salesforce. It is far more intuitive than a standard Excel expense report, and can be quite useful for any company or organization that has staff members regularly traveling for business. Journey gives you the ability to include workflows and approvals in the setup process (Enterprise Edition), which makes it an invaluable tool for managing submitted expense reports. Journey can be integrated with Professional, Enterprise and Performance edition of Salesforce, and developers can install it, for testing purposes, in their Developer org as well. Installation and basic set up of Journey takes about 15 minutes. It follows the standardized AppExchange installation format, and then also requires the addition of a global action, and the addition and customization of a related list. There is one drawback to the application that was discovered during the installation process involving the Airports feature. To track your journey, the Journey Salesforce app requires you to enter a “To” and “From” airport. The application comes with a downloadable list of around 7,300 airports, however that list occupies 16.9 MB of allocated storage space, which can be a problem. To avoid downloading the entire list, airports can be manually entered, but they need to be entered into the app prior to creating a journey or else the journey cannot be saved. The Journey Salesforce app and its sub-objects can be customized with custom fields, workflow rules, and approval processes. Approvals work very well with the native functionality of Journey, as they can be based on expense line type, expense amount, and so on. Journey also natively supports geolocation, and it can be used with the native Salesforce geolocation functionality or with an integrated app such as Geopointe. Geopointe can be used in conjunction with Journey to provide travel mileage, and route information, all from directly within Salesforce. Although the application is designed to be primarily used with Salesforce1, Journey can also be used on your desktop. Through testing the application with data from a recent business trip, I determined it to be more efficient to enter my journey and parent expense report information directly into the desktop version of Salesforce, and then add the individual line items to the expense report via the mobile application. Through testing, it became apparent that one of the best features of adding the line items via mobile was the simplicity and thoroughness of the application. The expense report feature notes the type and amount of the expense, and has the ability to add an attachment directly to the line item. You can take a picture of your receipt through a cell phone accessing Salesforce1 and add it directly to the line item entry all without ever exiting Salesforce1. It was nice to see a solid paperless process for expense reporting. Reporting out on the expense reports, line items, and the trip as a whole will give employers the ability to organize, track, and compare trips. This application can be very beneficial to companies that have a dedicated traveling staff. [button type=”success” size=”lg” link=”http://bit.ly/1HlH7iQ”]Want help setting up the Salesforce Journey App? StarrForce helps you get the most out of Salesforce. If you would like information on the services we offer, call us at (888) 391-4493 x103.